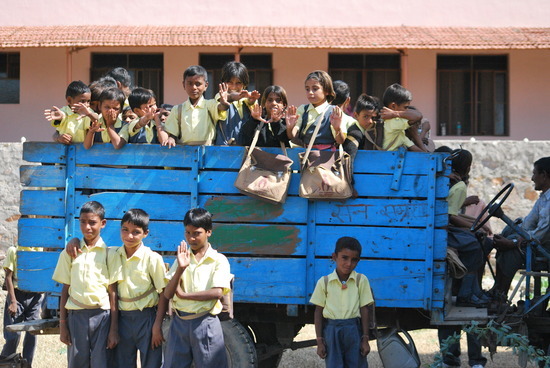 Mahindra Truck and Bus : Unsafe transportation for school children no longer OK!! Unsafe transportation for school children no longer OK!! For a highly populated country like India, which has about 4 million kids travelling to about 1 million schools, the transport system for these kids is very dismal. Most of these kids who hail from the tiny villages in the interiors of the country, have to walk miles to and from school each day. 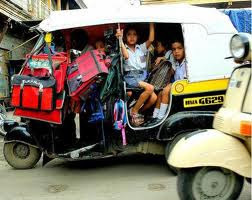 Whatever little transport service is available for these kids, is highly unorganized and totally unreliable. Smart Indians, looking to make a quick buck, have found an ingenious way of making money out of these poor kids miseries. 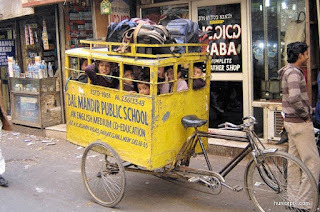 They pack up to 20 kids into an auto rickshaw which has the capacity to hold only 3 adults, and ferry them like cattle. Not to mention that it’s a very unstable for of transportation and the drivers often go way above the speed limit. The kids often feel very sick and end up with a lot of bruises after these rides. If you thought this was the end of the miseries of these kids, there’s more. 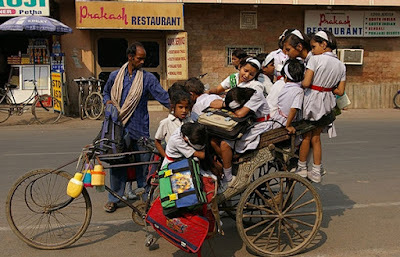 Most of these rickshaws end up in a fatal road accident, which even leads to the death of the poor kids. And all because someone wanted to make a quick buck. Is this how we want the future generation of India to be treated? Are we going to sit back and watch these poor kids go through this misery everyday? This isn’t their or their parents or the school authorities problem. It’s our problem and our duty as a nation to provide better facilities to the future of this country. It is not only inhuman but unhealthy for the growing kids, transported in a cage like situation, they become vulnerable. This unsafe practice should be condemned. Parents to be advised not to handover their kids to such vulnerability. It is really unfortunate, I think its high time for parents to re think.